For thirteen days in October of 1962, a truly perilous flirtation with nuclear war developed between the United States and USSR, as the superpowers argued over the installation of Soviet nuclear weapons in Cuba. Launched by rash judgment and concluded through circumspect leadership, the Cuban Missile Crisis acted as a catalyst for change during the Cold War. Resolved through back-channel negotiations, the moment is popularly remembered as the closest the world has ever come to full-scale nuclear war. 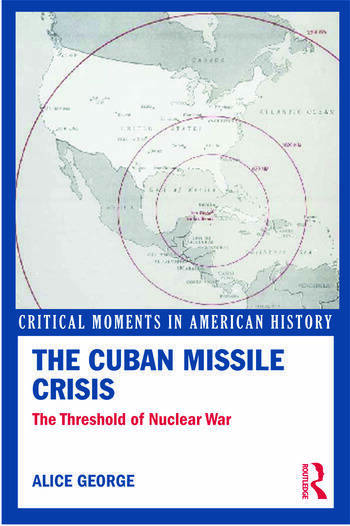 Using government memoranda, personal letters, and newspaper articles The Cuban Missile Crisis, details the actual events of the political history, while explaining widespread public response. In six concise chapters, Alice George introduces the history of Cold War America and contextualizes its political, social, and cultural legacy. This will be a must-read for anyone looking for an in-depth summary of these important events. For additional resources please visit the companion website at http://www.routledge.com/cw/criticalmoments. Alice L. George is an independent historian. She is the author of Awaiting Armageddon: How Americans Faced the Cuban Missile Crisis and The Assassination of John F. Kennedy: Political Trauma and American Memory (Routledge 2012).